In a sign of the continually shifting times, New York City Mayor Michael Bloomberg has put his financial weight behind gay rights in his home state of New York. Bloomberg is willing and ready to go that extra mile to avoid the embarrassment of the 24-38 defeat of the gay marriage bill in 2009. 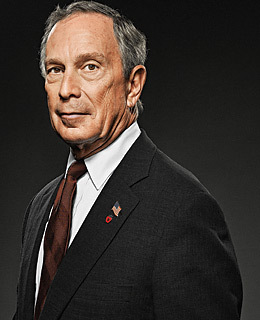 Bloomberg pledged to back senators who “stand up for marriage equality” and warned that those who don’t could be left without his often-generous financial support. “I certainly will concentrate and focus more on those that do,” said Bloomberg, who has donated big bucks to Senate Republicans in recent years. Bloomberg traveled to Albany with openly gay City Council Speaker Christine Quinn, to make their case face-to-face with state politicians.